Swap the poppy wreath of traditional Armistice ceremony for a domestic tap animated by a pair of glasses and offer it a cosy cup of tea and you have an idea of what Sussex's experiential theatre company ExploreTheArch are getting up to this Autumn. 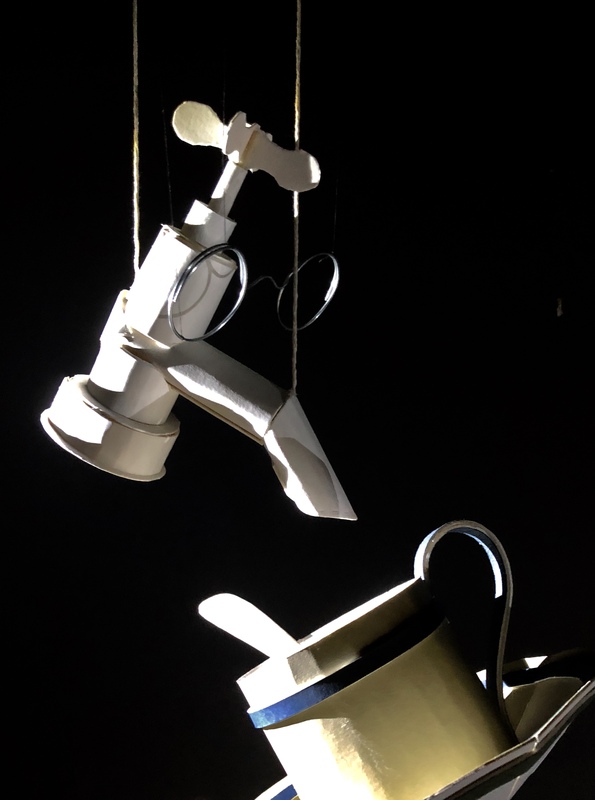 Inspired by a short story by Rudyard Kipling, this theatre collective who specialise in paper sculpture and puppetry, are exploring an alternative, female, domestic perspective on The Great War. The House at Armistice is timed to mark #Armistice100. Vocalist, violinist and composer Bev Lee Harling plays Helen, a woman who is caring for her "dead brother's unfortunate child". Helen nurtures her charge through his childhood only to watch him go to war instead of university. Helen could represent one of the millions of British women experiencing bereavement in the early twentieth century but Kipling's writing offers something else. He was interested in women who broke the rules and, as a consequence, could not mourn freely and healthily. "The Armistice with all its bells broke over her and passed unheeded." Bev Lee Harling's exquisite songs and music accompany many symbols of domesticity and early twentieth century village life beyond the tap with its cup of tea. Whisks, trowels, strainers remind us that life was hectic in villages as well as on battlefields during The Great War. Kipling's protagonist experiences the juxtaposition of daily mundanity with the shuddering sphere of distancing, silencing disconnect triggered by trying to imagine a loved one in unfamiliar conflict and the dreaded arrival of the missing in action letter. Kipling writes with economy to capture the suppressed emotion of the buttoned up first world war folk. It is an aspect of the work that the company have honoured in this at once humorous and startling promenade experience over two floors of their domestic venue, a beautiful late Victorian villa tucked away in St Leonards (Archer Lodge, Charles Road, St Leonards, TN38 0QX). The intimate nature of the production means that audiences are limited to fifteen (plus free children's tickets). Viewers are encouraged to bring a tangible or intangible memory of a relative or family friend caught up in the First World War or someone read about and admired to honour in the foyer display which will develop over the performance run. The House At Armistice opens on Friday 26th Oct and more information and performance details can be found on the company’s website explorethearch.com where tickets (£14+booking fee) can be purchased. To avoid the booking fee, head to local independent bookshops The Bookkeeper Bookshop in Kings Road, St Leonards and Printed Matter Bookshop, Queens Road, Hastings for cash only ticket sales (check opening times). Tickets are free for under 19s. Early booking is essential. "The words are tumbling from my mouth..." Michael Braithwaite tells the moving story of the Windrush generation. Following a few extraordinary weeks during which a passport was placed in Michael Braithwaite's hand and his fight for the right to remain working and living in the UK was resolved pending compensation, he joins Sussex experiential theatre company ExploreTheArch and fellow Windrush generation musicians in a new summer production - "The House after Windrush" - opening on Aug 6th 2018 in St Leonards on Sea, East Sussex. "The House after Windrush" is a vivid and profound articulation of the bewildered thoughts experienced by those thrust in the uncertain world of nationality dispute, the reminiscence of earlier life that unexpectedly crashes into the present and the precious relationships that form with those who step in to help. Michael Braithwaite, featured earlier this year in the Guardian and on Channel 4, joins ExploreTheArch, to offer a deeply personal story in the company's unique theatre venue - a beautiful, intimate domestic villa where the audience sits on sofas - evoking Michael's mother, a seamstress and her understanding of the British Isles she came to in the late fifties. "We were tea-drinking British through and through," explains fellow London musician Dave Rohoman, born in British Guiana. "Our education was Dickens. When we arrived in London, we felt we were coming home". The show eludicates home, playfully divided into charming moments, such as the watching of television for the first time in London, a world away from the Kerosene lamp ghost stories evenings of grandma's house in Trinidad. "The standing up for the national anthem in the living room at the close of daily broadcast seems ludicrous now but we all did it then," Rohoman chuckles. 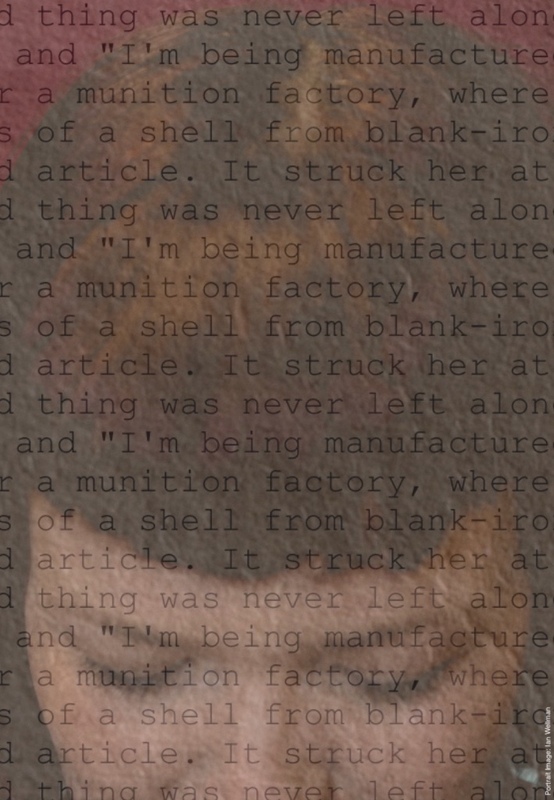 "In working with Michael's words, we are really getting to the reality of what thousands of people in this country are quietly facing: thoughts are sharp but scrambled, distress is felt in every act of the day and a desire to return to the quiet, invisible place in society is overwhelming." The production also features modern, healthy transatlantic partnerships such as the trade relationship between small Trinidad & Tobago cocoa farmers and master artisan chocolatier Sophie Meyer from The C Note Ltd., honouring the addressing of the former colonial exploitation with sound, and ethical trade by individual entrepreneurs. Visual artists Stella Clifford, Susan Miller, Felicity Truscott and Peter Quinnell have also created installations in the grounds of the venue honouring Caribbean writers of the Windrush generation. "If this wealth of literature hadn't been marginalised over the last half century, the current political scandal may never have taken place," Vladimir Miller, the company's composer asserts. "One very positive way of responding would be to fill your bookshelves with titles by Pauline Melville, Willi Chen, and Tessa McWatt this summer." "The House after Windrush" runs from Aug 6-19th. Please visit explorethearch.com/windrush for performance times and booking details. Early booking is advised for this intimate venue. 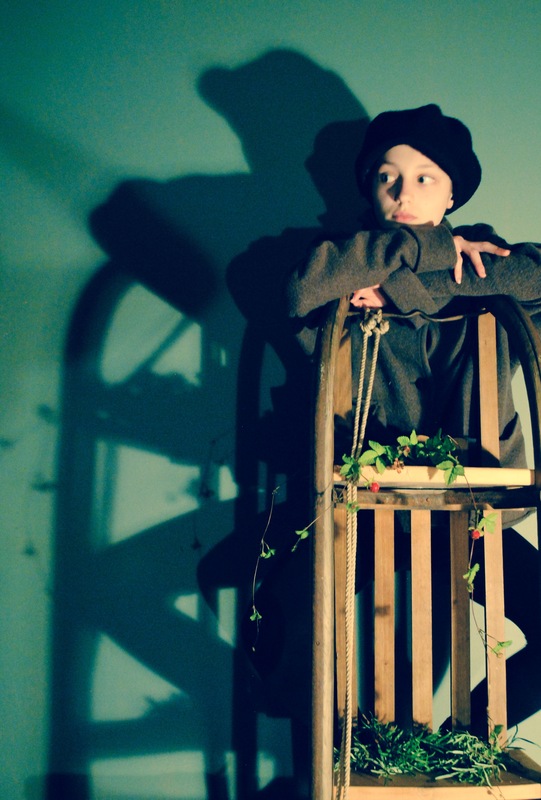 ExploreTheArch, East Sussex's experimental theatre company, is heading up St Leonards' #ATownExploresABook18 festival this Easter with a chilling gothic new production inspired by arguably the most vivid of Dickens' novels, Great Expectations. 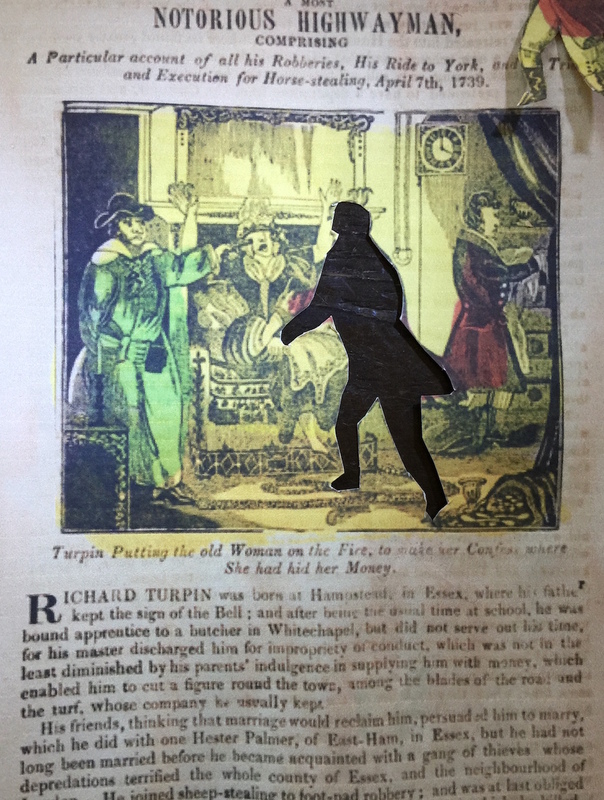 With mud flying forth and raging torture of a tar-dosing kind, the expressionist work foregrounds the angry red-raw woman who raises Dickens' hero, Pip. The company does not flinch from hurling forth the complexities a young person faces in living with an adult who is hurting and, as the woman's more wealthy mirror Miss Havisham asserts, broken. Adults who are dangerous and difficult to fathom. Set in the roaring, oozing marsh, the work feels contemporary and relevant, an examination of humanity's often uneasy existence in a seeming rural idyll. While the blacksmith in the forge, depicted through live music composed by a new pairing of composers Oliver Cherer and Vladimir Miller, is fashioning a warm steady existence, the other characters align with the turbulent, frenzied elements. And the character utterly thrown out of his environment is the chained convict who threatens to tear out heart and liver if not supplied with food and file. Dickens' iconic line, "My first most vivid and broad impression of the identity of things seems to me to have been gained on a memorable raw afternoon towards evening" is prompted by Pip's terrifying encounter with this desperate outcast. 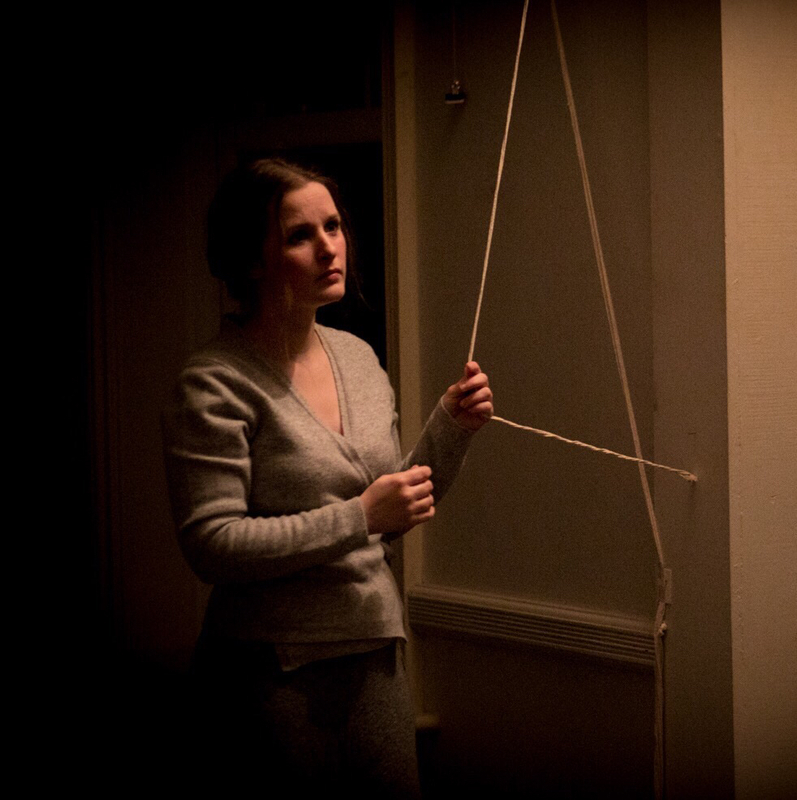 In contrast to the characters' raw shrieks of pain, the audience is offered nuanced, isolated moments of reflection on these childhood traumas located in Pip's bedroom, the play a promenade performance over two floors at the company's venue Archer Lodge in St Leonards. Exquisite, tiny dead-of-night sounds comprise a gentle cacophony of ebbing reflections, prompted by the goblin who cries at the window, on things not quite understood but accepted by Pip to achieve an identity of things. 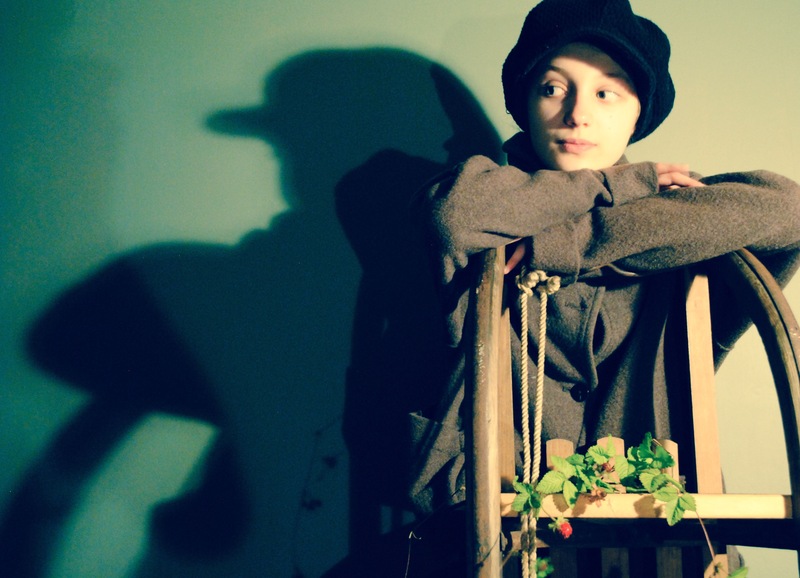 Synthesising Dickens' hero's experiences as a seven year old and the moment ten years later, on the eve of his flight from his place of birth, the production comprises a rite of passage, Pip leaving to begin a new urban adult life at the end of the play. To fashion new existence and identity away from his troubled marshland upbringing. Writing the novel to be serialised weekly in 1860/61, Dickens undoubtedly pumped up the volume on the favourite Victorian obsessions of social aspirations, wealth and love as the catalyst for Pip's departure to London but setting those aside, ExploreTheArch reaches to the uneasy, contradictory relationship between the human and the rural environment as the trigger that propels young adults away from rural areas to the smoke. To city life that traditionally takes the flak for unhealthy states of being. The production opens on Good Friday, 30th March and runs for two weeks during the Spring holiday. Tickets, info and availability: explorethearch.com/identity and for cash ticket sales, no booking fee, visit The Bookkeeper Bookshop, 1A Kings Road, St Leonards, TN37 6EA, open Tues-Sat, 10am-5pm. Ideal for readers familiar with the novel and those new to this Dickens' masterpiece, there are a limited number of free ticket for young people, 10-19 years of age. Not recommended for under 10s. Part of atownexploresabook.com, an Easter festival taking place in St Leonards comprising myriad experiences themed around the novel. Along with multiple events and experiences exploring Great Expectations and comprising St Leonards' #ATownExploresABook18 festival this Easter, ExploreTheArch's gothic-folk production, inspired by arguably the most vivid of Dickens' novels, opens on 30th March, Good Friday, and runs for two weeks at the company's unique St Leonards venue, Archer Lodge. Hurtling into the expressionist tumult of roaring elements and troubled individuals, this new work explores the precarious childhood state of being too close to baffling, obsessive adults: the volatile mother-at-home figure repeatedly tar-dosing and torture scrubbing the earth out of the home, her more wealthy counterpart, Miss Havisham, who lets nature encroach and the chained convict who threatens to tear out heart and liver if not supplied with food and file. They all thrust themselves into protagonist Pip's life and traumatise. The mud flies, set as the novel is in the roaring, oozing marsh, the work serving as an reflection on humanity's often uneasy existence in a seeming rural idyll. Writing the novel in 1860/61 as a weekly serialisation, Dickens pumped up the volume on the Victorian favourites of social aspiration, windfall wealth and love as the catalyst for Pip's flight to London, turning his back on his place of birth. Setting those impetuses aside, ExploreTheArch reaches to the complicated, contradictory, uncomfortable relationship between the human and the rural environment and between humans in rural landscapes as a reason some young adults drift from rural areas to the smoke. To city life that traditionally takes the flack for unhealthy states of being. While the blacksmith in the forge, depicted through live music composed by a new pairing of experimental composers Oliver Cherer and Vladimir Miller, is fashioning a stable, equable existence, the other characters align with the turbulent, frenzied self destructive elements in the landscape. With Dickens' iconic line, "My first most vivid and broad impression of the identity of things seems to me to have been gained on a memorable raw afternoon towards evening," Pip attempts to make sense of the identity of things so he can turn his back on those imprisioned in their own misery and head for urbanity. 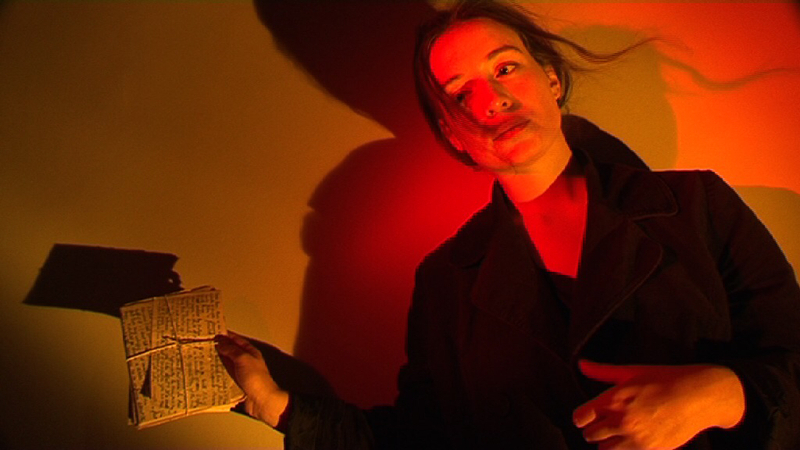 The production incorporates many visual registers including newly shot footage of the marshes on contemporary domestic screen technology, vintage slide projectors, shadow from light sources in the acting space and far away from the venue. The range of instruments in the venue for this production has increased too with an organ joining the two pianos and a gamut of experimental instruments fashioned for the work. The audience is offered nuanced, isolated moments with these treasures in Pip's bedroom, the play a promenade performance over two floors at the company's venue Archer Lodge in St Leonards. Exquisite, tiny dead-of-night sounds comprise a gentle cacophony of ebbing reflections, prompted by the goblin who cries at the window, on things not quite understood but accepted by Pip to achieve an identity of things. A synthesis of Dickens' hero's experience as a seven year old and ten years later, the production comprises a rite of passage, Pip leaving to begin a new adult life away from the other characters' raw shrieks of pain. Christmas in an armchair by the fire with thoughts dancing overhead. Ever seen the 1892 illustration of a man's profile in which his three daughters' faces are hidden? Apart from serving as a reflection on gender statuses at that time, it reminds us just how long hidden pictures in illustration have been around in the media, pictures that grab our attention and thoughts. The illustration of the man and his daughters appeared a hundred years before the familiar cult Where is Wally publications of the '80s by Martin Handford and the recent app, Shadowmatic. And it's just one of the fascinations that East Sussex's experimental theatre company ExploreTheArch is drawing upon this Christmas in their new production The House of Midwinter Thought. "How readily our thoughts swarm upon an object" the modernist writer Virginia Woolf begins the second paragraph of her 1917, The Mark on the Wall, the short story that has inspired ExploreTheArch's vibrant new show. The company explores Woolf's vivid twisty-turny thoughts through a number of vintage technologies that thoughts swarm on. Stereograms, lenticular postcards and shadowplay glide into view and a giant hand-made kaleidoscope is built on stage. And the company's signature paper forms swoop down on string and revolve and evolve to live music, composed for this startling new production. The central thought in Woolf's remarkable little story is a mark on the wall, a shadow that morphs and shape shifts just as many interior objects do in the depths of midwinter in firelight when our thoughts are tucked up indoors. The contrast of the cozy room, in which ExploreTheArch's audiences will snuggle in armchairs, with an expansive gothic exterior is a theme explored in a number of nineteenth century short stories by female writers. Woolf references the nineteenth century with objects that her narrator bids farewell to: a bagatelle board, iron hoops and a tapestry tablecloth with little yellow compartments. Washing her hands of the old, Woolf's elusive character wonders at the new world facing her while acknowledging that she might at any moment stretch out her "hand at once for a book in self-protection." It is very much a rite of passage story of a female stepping into a volatile, uncertain world lashed by the vestiges of a male dominated society. Her thoughts feel surprisingly fresh and relevant today. Virginia and Leonard Woolf mused on three significant thoughts as they celebrated Virginia's thirty third birthday in January 1915. They considered the purchase of Hogarth House in Richmond, the acquisition of a hand press to publish their work (and the writing of other like-minded authors) and apparently the procurement of a bulldog named John. The first two thoughts became realities and in 1917, Hogarth Press was born. John the bulldog remained a thought. A replica of Woolf's humble desk-mounted copper platen press will be present in the festive foyer space in ExploreTheArch's St Leonards' venue this Christmas since The Mark on the Wall was Virginia's first self-published story. Self-publishing freed the writer from the anxiety of sending her work to publishers and having to deal with stress-inducing editing demands. The doors open thirty minutes before The House of Midwinter Thought shows begin at the company's enchanting tucked away venue in St Leonards for audiences to mark the centenary of Woolf's story in various personal, creative ways. ExploreTheArch's The House of Midwinter Thought, opens on 17th December for two weeks and tickets, including a limited number of free tickets for children and young people, are available online explorethearch.com/thought and from The Bookkeeper Bookshop, 1A Kings Rd, St Leonards on Sea. Tues-Sat 10-5, cash sales only, no booking fee. This festive production is a magical way into the work of a writer who presents to some readers as a wall of words. In performance, Virginia Woolf's 1917 short story is enticing and bewitching and welcoming to young and adult viewers alike. There's something Pollock in his application of paint, a touch of the Izzard in his gadding, a big dose of Mother Teresa in his care of the vulnerable and minority cultures and a slither of Cruella de Vil when he loses his cool. 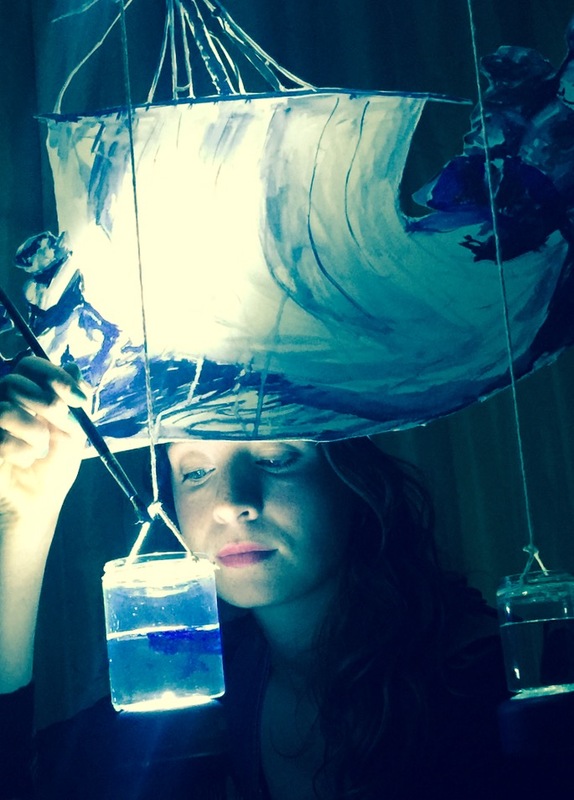 East Sussex's experimental theatre company, ExploreTheArch, is gearing up for a vivid summer production exploring a remarkably colourful life: that of the Armenian marine painter, Ivan Aivazovsky. Largely forgotten today in western Europe, Aivazovsky was a highly successful game changer in his lifetime and a celebrity to boot, championed for his brilliant evocation of seas and skies, applying paint to canvas in a way that had not been seen before. Opening on 4th August, two hundred years after Aivazovsky's birth, The House of the Man who Painted the Sea offers a magical evening with ExploreTheArch's unique and playful paper stage sets nestling amongst the audience. The play is an enchanting kaleidoscope of experiences from carriage rides over vast tracts of Russian steppe with overnight stops at inns with pancake mattress beds and black beetles to sailing the inky seas with Aivaovsky's Scottish wife. Touching base in Italy, St Petersburg and the Crimea, the audience are whisked through the created house to meet Aivazovksy's grandson munching the grown ups' food under a party table when he's meant to be in bed and the pope choosing one of Aivazovsky's paintings for the Vatican. With music by the company's composer, Vladimir Miller, it's a rich, vibrant jewel of an evening. 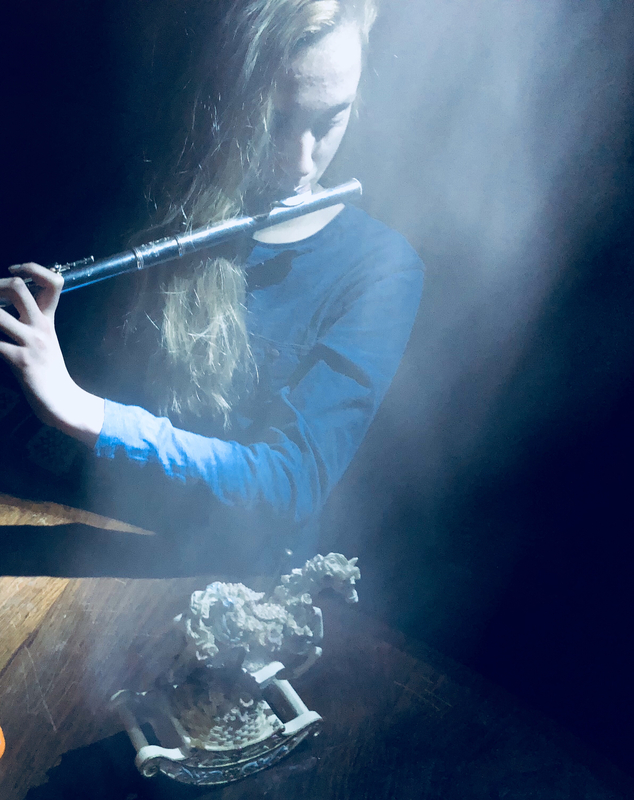 Funded by Arts Council England and Hastings Borough Council, the production is inspired by the eccentric recollections of Alia Aivazovsky, the painter's grandson, who fled Russia during the 1917 revolution and lived in Paris before arriving and settling in London. Alia's notes, stowed in turn in drawers in the two capitals, are a fascinating collection of eccentric, flamboyant, bumptious and incomplete reminiscences charting his grandfather's rise from humble beginnings to the wealthiest man in his region able to fund initiatives improving living conditions and to leave his fortune to the needy in his town. "We were immediately excited about these unique tales when the British descendent of Aivazovsky, Henry Sanford, got in touch," says the company's artistic director, Gail Borrow. "The stories of Aivazovsky's lavish dinners rival any party Elton John or Lady Gaga might throw today but the most delightful aspect of the writing is the quirky twists: the daring entrance of a Tartar bandit, obsessive card playing with Nikolai Gogol on an Italian trip and a row with the mayor over a statue of Apollo. Travelling extensively through Europe, the Ottoman Empire, Russia and the States throughout his lifetime, Aivazovsky met an artistic figure the British are more familiar with: seascape painter, JMW Turner. The older Turner's verdict? This energetic young son of a humble trader would be the stand out creative of his generation. Turner was so excited about Aivazovsky's paintings that he wrote a poem for Aivazovsky in Italian extolling his genius. This unique summer production runs through August at ExploreTheArch's venue Archer Lodge, a Victorian villa in St Leonards on Sea. Tickets are limited for this intimate venue so early booking is essential as the company's productions sell out quickly. Free children's tickets are available via the website and the evening begins with an opportunity before the play starts to celebrate the act of painting the sea in the venue's beautiful grounds. Whether you sketch the salt water regularly or you haven't picked up a crayon or paintbrush to depict the ocean since primary school, the company have a printing process waiting to capture your words about the sea. So, with a glass of wine from the bar (supplied by local company The Wine Shed), immerse yourself in the act of painting the sea and join ExploreTheArch to celebrate one man who did it differently. Tickets: £12 +booking fee available at explorethearch.com/manwhopainted The show is suitable for all ages but recommended for over 6s. Taking place over two floors at the venue, the company regrets that there is no lift. Vivid and startling, theatre company ExploreTheArch's new production The House of the Heroine follows the format of their previous work at intimate nineteenth century villa venue Archer Lodge in St Leonards, inviting an audience through an intriguing arch of books into a magical world. The pigeon holes in the porch are playfully stuffed with the belongings of each character in the play, the foyer containing drawers full of curiosities to rummage through and the storytelling unfolding in an opulent intimate space, crammed with twigs, which the performers share with viewers. But the similarities with previous productions in the East Sussex's experimental theatre company's current Hidden Book Season end there. This new take on Brontë's Jane Eyre is a dreamy expressionist piece exploring Jane's psychological battles through voices and conversations in her head and the conjuring of avian creatures from a bird book. 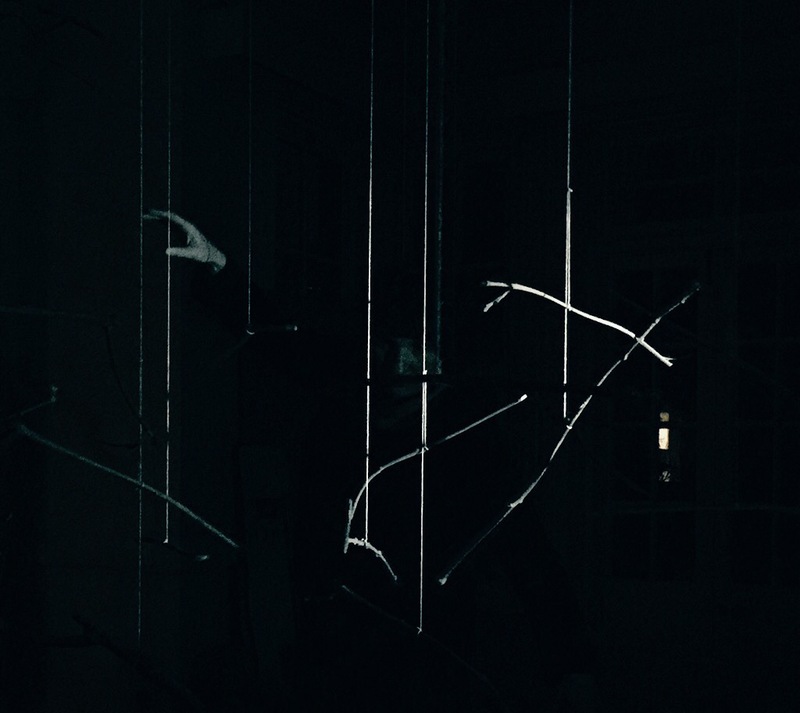 The profusion of string, pulleys and paper props, signatures of the company, are present but the production's team have explored new ground in this gothic piece. 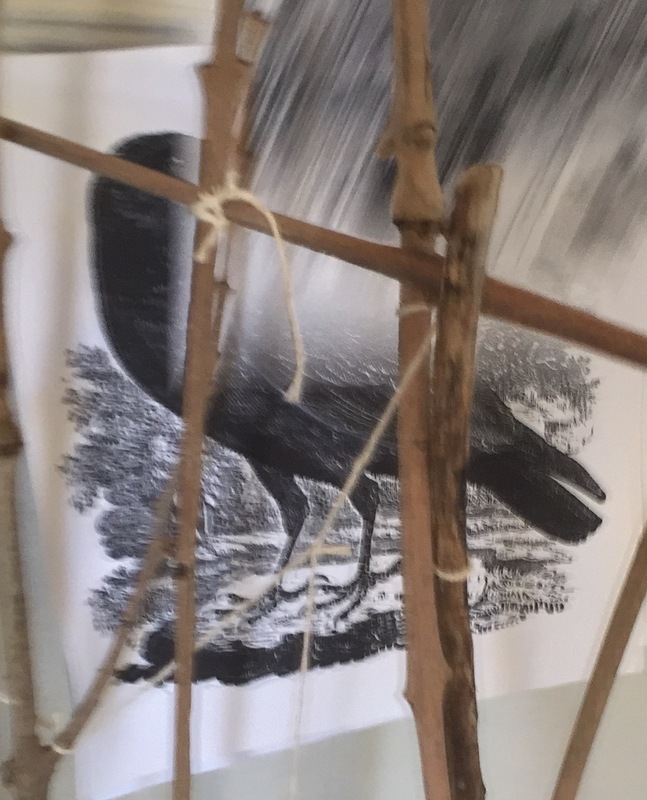 Bewick's History of British Birds, the book that a ten year old Jane hides behind a curtain with at the beginning of the novel, has bought to life the idiosyncratic birds operating as metaphors for Jane Eyre's experiences. Performer, Gail Borrow, personifies the exuberant creatures playfully. The two cockerels vibrantly morph into bullies, John Reed of Gateshead Hall and the zealous wannabe missionary, St John Rivers. This mirroring of the attitudes of the two male cousins in Jane's life creates humour which quickly spirals into startlingly chaotic theatrical moments in the production. Maria McAteer plays Mr Rochester's Parisian mistress gliding out of the shadows to pursue a friendship with Jane Eyre that beautifully capitalizes on the freedom of the imaginary companion. She transforms in turn from romantic competitor to a pal who might lead astray, from a challenging finger wagger to a patient ear and beady-eyed observer. McAteer's spirited delivery is warm. This is the strength of this production-taking a peripheral character only reported on in Brontë's novel and offering Jane Eyre a female figure to confide in, to share confidences with and rail against. The Parisian mistress goes as far as to whisk Jane away to Balzac's Paris where she performs in a cabaret world of social flamboyance and theatrical artifice-a remarkable interval experience. And Mr Rochester? An arresting choice in this production is the portrayal of Jane's lover as a scarred grand piano. The instrument dominates the space, framed by the twigs and thorns of Thornfield Hall, Rochester's country home. 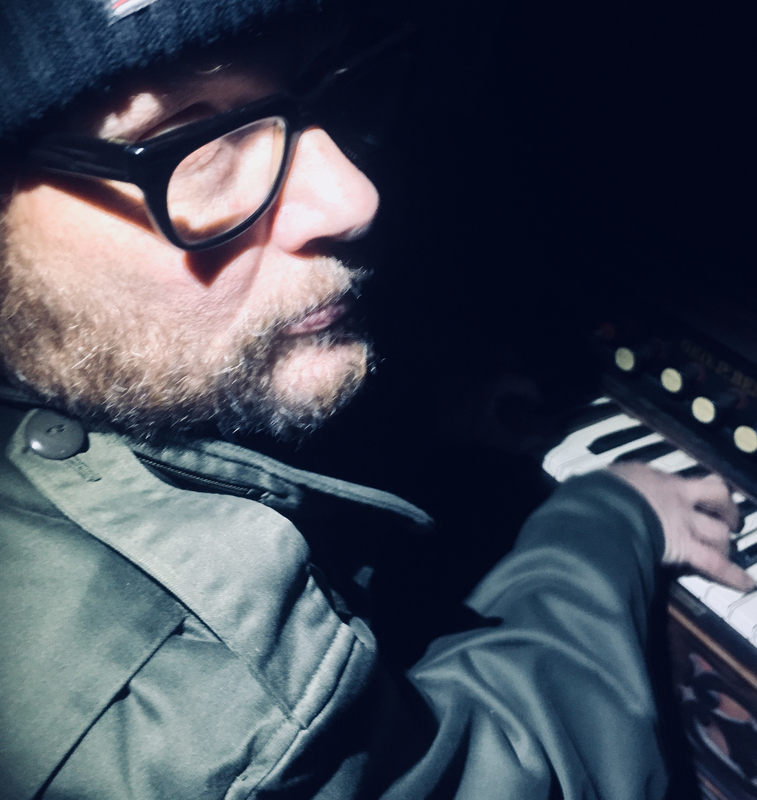 Composer Vladimir Miller explores every aspect of the instrument in his composition, playing the inside of the instrument as well as the keys. The live music in this intimate space serves to heighten the performance at times and support more natural moments at others. It emphasises the fairytale qualities in the novel-Jane Eyre is, in a sense, a beauty and the beast story-which the actors capitalize on at the point where Jane is left a fortune by a long lost uncle. Moving from the quiet life around the fire in mossy Yorkshire to a joyous pantomime cleverly feasts on Brontë's gifts to her heroine: the sum of twenty thousand pounds to address her poverty and three seemingly well-matched cousins to combat loneliness. Both gifts feel rather contrived in the novel and the actors' acknowledgement and celebration of that with the audience is fun. 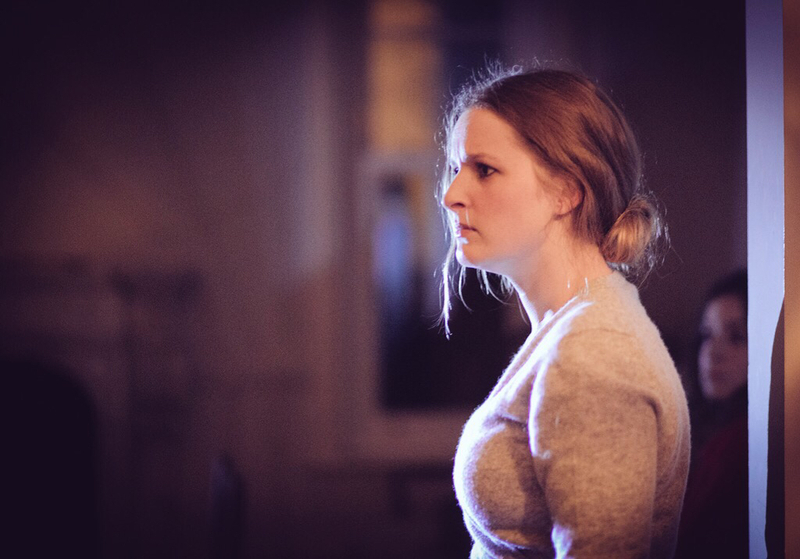 Not being driven by plot like many current Jane Eyre adaptations, the production affords actor Charlotte Ellen playing Jane Eyre the space to interpret the personal battles of arguably the most famous literary orphan. Ellen carefully considers Jane's dogged determination to adhere to her values, exploring the stubbornness and personal prejudices that accompany her quest for an honest, virtuous life. She offers a flawed heroine with much in common with Mr Rochester's ex-mistress. Brontë's focus on the various meanings of the word mistress is just one part of the text that has made it through into the performance. The resolution is impossible to predict- Charlotte Ellen's Jane Eyre could go anywhere and become anyone at the end of The House of the Heroine. It is at times a moving and chilling exploration of an isolated young woman's quest for a nest and for love in the nineteenth century. St Leonards on Sea is one of the most innovative artistic communities in the U.K, its streets peppered with vintage, antique and creative independent businesses and a lively café culture. This spring there is an innovative new initiative afoot: this quirky arts hub is celebrating one of the great nineteenth century novels, Jane Eyre. In restaurants, shops and the outdoor nooks and crannies adjacent to the key areas in the community, words, phrases and paragraphs from Brontë's masterpiece are inspiring pop up installations, window displays, interactive experiences, an exhibition and a theatre production. "Words, words, words everywhere with fresh and lively perspectives!" sums up Claire Paisley of Paisley and Friends. The town's experimental theatre company, ExploreTheArch, and Hastings Arts Forum are heading up this experiential project with a tandem theatre production and multidisciplinary visual art exhibition in two venues, ExploreTheArch's unique nineteenth century villa performance space and Hastings Arts Forum's two galleries on the sea front. And twenty five independent businesses and six community groups nestled between these two venues are offering insights and musings including interactive installations and informal creative writing hubs. "The essence of our work is a mix of responses and personal reflections on this literary masterpiece with cross community engagement," explains ExploreTheArch's composer Vladimir Miller. "There are so many residents working in the creative industries in this town and community members passionate about the arts that we are uniquely placed to bring literature to life with vibrant perspectives. The whole community is coming together." 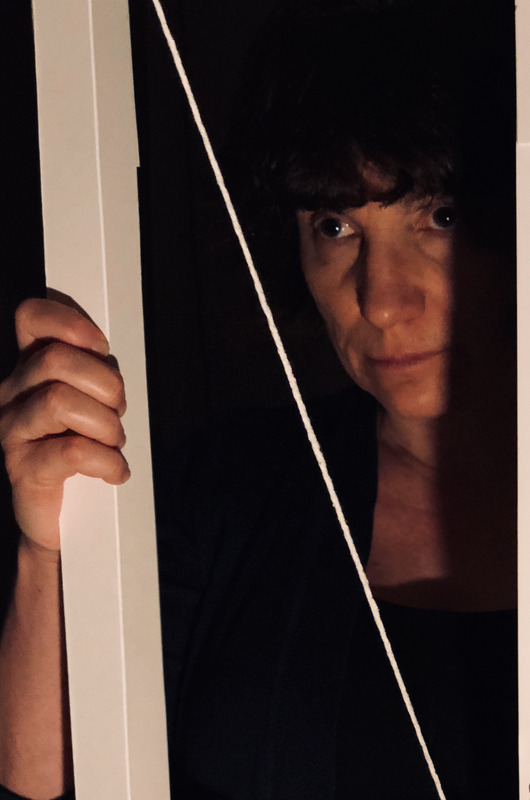 ExploreTheArch's vivid new production, The House of the Heroine, is inspired by the book that young Jane Eyre hides behind a curtain with at the beginning of the novel. "Bewick's History of British Birds was the field guide found on the shelves of the average early nineteenth century home, not just in the residence of Jane's wealthy aunt" explains Gail Borrow, artistic director of ExploreTheArch. "Packed with beautiful illustrations of bird species, the book was one of the key natural history texts of the day. Our production brings Bewick's woodcuts and descriptions of birds to life and foregrounds the avian imagery in Brontë's novel: the sprightly wren, the darting swift and the birds Jane Eyre is likened to in the text-a skylark, a linnet and a dove. The set is a web of twigs and nesting materials surrounding the audience who sit on tree stumps. The scent of mossy Yorkshire combines with the smell of the logs on the roaring fire." The production imagines a friendship between French opera performer, Céline Varens, an ex-lover of Mr Rochester, and Jane in her rural cottage attached to the isolated school that she sets up. The women's identity and quest for a nest of love, comfort and companionship is conjured through Bewick's sublime, gothic woodcut landscapes scattered in the random spaces between his bird descriptions. And when viewers arrive at the unique performance space, they will be invited to wander through the candlelit rooms of Céline's Europe exploring hidden delights in drawers, pop up mechanisms and peep holes. 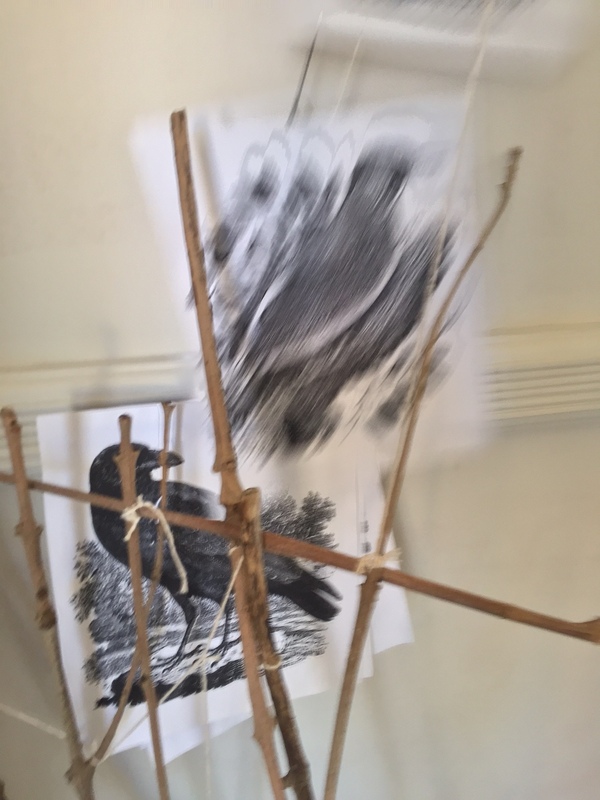 "Jane Eyre calls us to her mossy Yorkshire to start the play in a web of strings suspending the nesting materials but, true to Bewick's birds, audience members have opportunities to fly back to European climes." says actor Maria McAteer. "The original composition and live music explores a gothic world of dark shapes and mysterious events in a unique intimate nineteenth century venue." Elsewhere in the small town, cafés and restaurants are creating dishes inspired by quotes from the text and reinventing themselves as pop up creative writing hubs. Lively Love Café on Norman Road is inviting visitors to contribute to a diary of the orphan briefly mentioned in Chapter 31 to whom Jane gives an orange. At The Wine Shed in Kings Road, diners can respond to the paragraph at the start of chapter 11 where Jane arrives at the George Inn at Millcote by penning paragraphs detailing their arrival in St Leonards. On the bank above the north platform of St Leonards Warrior Square Station, Transition Town Hastings is creating a space inspired by the location of Rochester's proposal to Jane. It's a place to propose and, in addition to the text from the novel threaded through the trees, visitors will be able to clip their proposals for themselves, others, the town and the world to the installation. 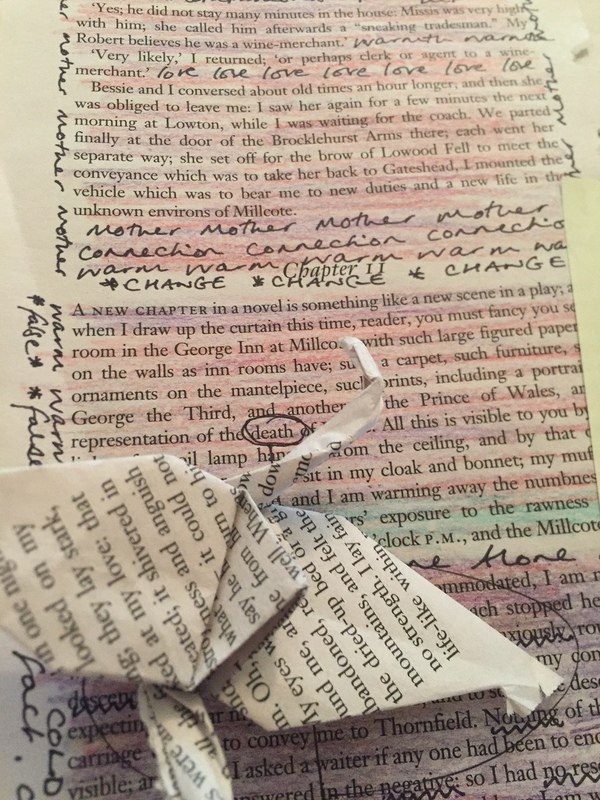 In the station itself, the Torn Pages Project in partnership with SouthEastern Railway will offer travellers the chance to take a torn page from the novel and return it with their musings scribbled and doodled in the margins. 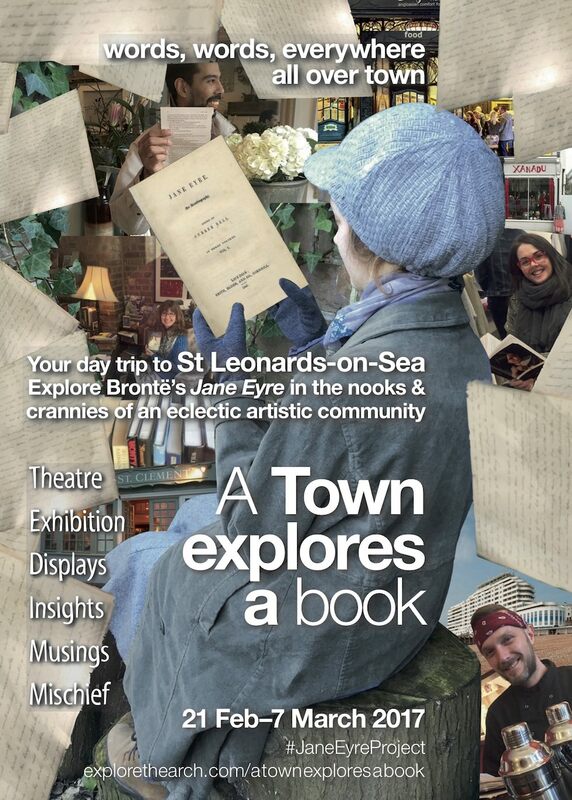 The pegged up doodled and annotated pages will be on display for the length of the project along with letters detailing memories of reading Jane Eyre which The Burtons' St Leonards Society are displaying among the flowerbeds of the nineteenth century St Leonards Garden. Sally Meakins who is curating Hastings Arts Forum's dynamic exhibition says, "There are so many ways to explore a book. We've had a terrific response from a call out to our artists and we'll be mounting an exciting mixed media, multidisciplinary show from 21st February to 5th March at our gallery that's truly an experimental investigation. Artists will additionally be working in the galleries during the two weeks and we hope the public and schools and colleges will join us. We are examining many aspects of the book including the remarkable interiors in the novel. Our interior at the gallery itself will develop over the two weeks as the investigations develop." And in the commercial centre of this little town, Boots UK is hosting displays by community groups such as The Links Project, a support and advice project for asylum seekers, refugees and new communities and local young artists, Black Winkle Arts. These community responses are sponsored by Fastprint & Design Limited and Martel Colour Print. This is great news for the country's current cohort of 14-16 year olds studying a nineteenth century text in their English GCSE course (a mandatory requirement) and for the rest of the population who studied or read Jane Eyre in times past and fancy revisiting this masterpiece. As K Avery-Stallion of St Leonards Modern Goods explains, "Teachers are telling us their students need exposure to nineteenth century language to thrive on the GCSE English literature course. We are uniquely placed to provide that." And for those curious to meet this literary masterpiece for the first time, a trip to this idiosyncratic creative community will likely stick in the memory. Groups are asked to book a visit to the free exhibition at Hastings Arts Forum. 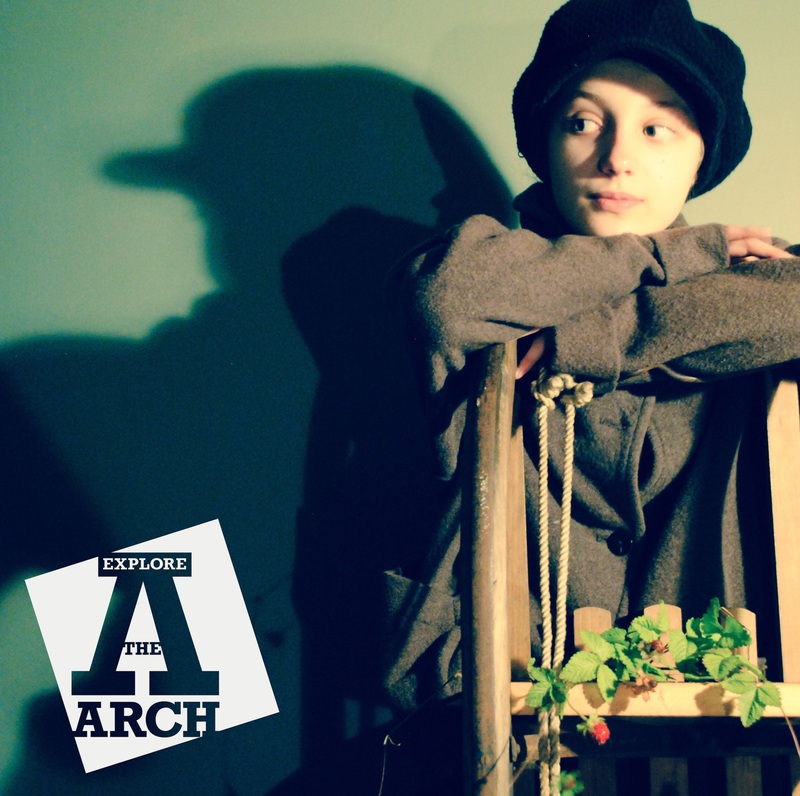 Advance purchase of tickets for the ExploreThe Arch production is essential due to the intimate nature of the space. A limited number of free children's tickets are available for each performance on a first come, first serve basis. All other displays and experiences are on a drop-in basis. 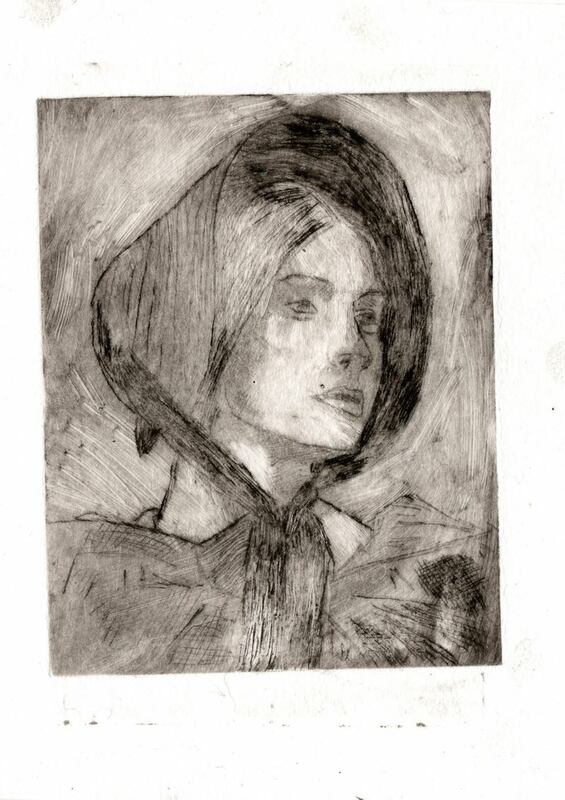 -Hastings Arts Forum's exhibition The Jane Eyre Project runs from 21st Feb-5th March, Tues – Sun, 11am – 5pm, free entry. 01424 201636. -Getting here: St Leonards Warrior Square, the town's station is served by train services from Charing Cross, Victoria, Ashford and Brighton. Please check for disruption due to the ongoing industrial dispute if using Southern's Service. St Leonards on Sea is on the Traffic-free Route 2 National Cycle network. Parking is plentiful in the town. -With Hastings International Piano Concerto Competition running over the period and exhibitions at the nearby Jerwood and De La Warr Pavillion galleries, there's plenty to do on this section of the Sussex coast this spring. 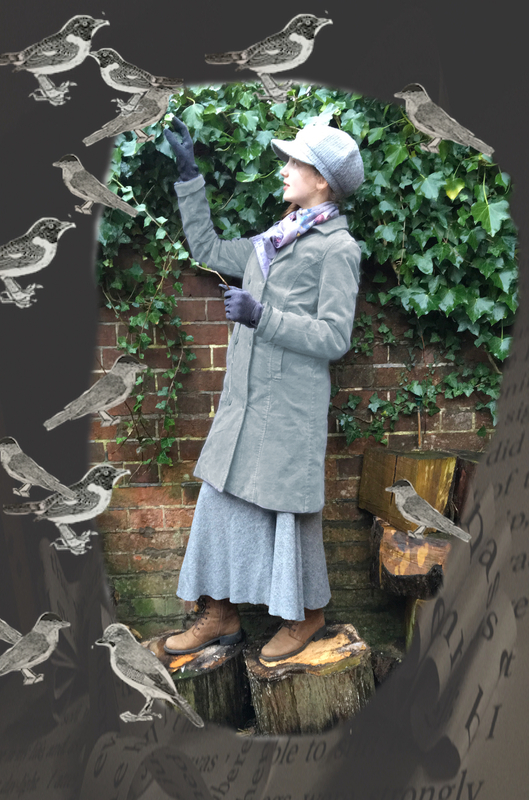 After their last sell-out summer production, East Sussex's ExploreTheArch are back with a festive show, the second in their Hidden Book Season. The experimental theatre collective who send words whizzing across walls and pages fluttering overhead return with The House of a Dark & Stormy Night, a Christmas production inspired by a long lost nineteenth century novel. A packet of letter is concealed, a book hidden and identities masked. Mischief reigns. Originally written to highlight a society and justice system that propelled the vulnerable into crime, Edward Bulwer-Lytton's Paul Clifford was anything but dull. It was jam packed with fun, adventure and vivid characters. And words. Lots of them. The 'purple prose' was its demise and the cause of its subsequent infamy. In the C21, the 'dark and stormy night' first line is the only celebrated aspect of this novel. Perhaps mocked is closer to the truth. "If you wade through the chapters of what was once a tremendous commercial success, there's some vibrant encounters on the highway and sparkling wit to be discovered in amongst dense paragraphs," says Gail Borrow, theatre maker and ExploreThe Arch's artistic director. "The first of Bulwer-Lytton's four crime novels highlights the rascal in us all." The company's exploration has evolved into a slick 80 minute, no interval show, in which you are invited to bring a bottle of your favourite festive drink and quaff in The Mug Inn in East London. And it's taking place in a magical space. "The 'houses' we create are unconventional spaces in which we seek to redefine the performer viewer relationship. It's a warm, playful, welcoming environment, in this case the domestic setting of a remarkable Victorian villa in St Leonard's," says actor Fiona Hardy. "Perfect for Christmas celebrations." With original composition and live music featuring the work of composer Vladimir Miller, the evening is full of gentle mockery. Who gives their child books with pirates and robbers nestling in the pages? Surely no one would introduce young impressionable minds to dangerous role models? So thinks Peg Lobkins, hostess of The Mug Inn. When she finds the orphan child she's taken on with his head in a book about highwaymen, she panics and shells out on the very best of educations. Latin should sort the matter out. But how strong is the lure of a double identity? A hidden identity? And there's a hidden book containing some love letters that may shed light on the boy's true identity. A shock revelation perhaps. The show comes with a warning: Ruthless pickpockets, disreputable lawyers, plagiarizing critics, drunkards, highway-persons and vast swathes of cut text are more prickly that a sprig of honest holly. You'll be required to toughen up this Christmas. Performances run from 19-30th December at 7.30. No performances on 22nd & 25th December and only a matinee at 4pm in 24th December. Tickets £10 +booking fee on web: explorethearch.com/houseofdarkstormynight & £12 from Bobos Flowers, 45B London Road, St Leonard's-on-Sea, 01424 721120. A limited number of free children's tickets available for each performance on the web only. A vibrant and original theatrical experience The House of the Siberian Seasons will take place in St Leonards-on-Sea this August. Exploring two parallel worlds, the realm of mystical cave dwelling characters from a legend and the ordinary lives of villagers who fish and gather berries in the warmer months and sledge on Lake Bailkal in winter, audiences will be led on a magical journey through the Siberian seasons and its ancient landscape. Nimble actors will scale the walls around the audience evoking the steep mountainsides rising from Lake Baikal, covered in wild rosemary and cedars. The work is inspired by Russian writer Leonid Borodin's powerful coming of age book The Year of Miracle and Grief. Puppets fashioned from ribbons of text are just one of the visual delights in the production. The rooms, corridors, nooks and crannies of Archer Lodge, a beautiful Victorian villa and the unique performance space for this production, will be transformed with giant floor to ceiling pages and soundscapes. Staged by ExploreTheArch - a collective of professional artists, performers and musicians who specialise in producing playful, intimate and informal audience experiences in 'created houses' – the event is timed to coincide with the 25th anniversary of the coup which led to the end of censorship of Russian writers in the Soviet Union. The Year of Miracle and Grief was just one of many works suppressed by the Soviet regime. The book was smuggled – at great personal risk to couriers and others involved - to an underground printing house in Frankfurt in the late 1970s. But despite the drama and danger behind its publication, Borodin and his work is little known. The audience will enter through a reimagining of the Siberian hut where Borodin rewrote the novel (his first version was confiscated from him in prison) before progressing inside the villa and literally stepping inside the book. Actors, puppeteers and musicians will lead the audience on a vibrant journey through Borodin's tale and spaces evoking his Siberian seasons - from light and airy Spring and Summer through to darkened Autumn and icy winter. The original live music for this dynamic production has been created by composer, conductor and musician Vladimir Miller who was inspired on reading the book for the first time. 'Borodin's story, characters and language draws you in. I was completely mesmerised - particularly by the descriptions of Lake Baikal and the Taiga wilderness.' The House of the Siberian Seasons is part of a wider ExploreTheArch Hidden Books season which includes a commission for a new installation and performance piece based on the short stories of Russian writer Daniil Kharms. These will be staged at a cultural festival in Italy in September. The House of the Siberian Seasons will take place on 19, 20, 21, 22, 23 Aug at 14.30 and 19.30 at Archer Lodge, Charles Road, St Leonards-on-Sea TN38 0QX. Tickets are £10 per person and children go free. To book tickets and for more information visit explorethearch.com/houseofthesiberianseasons. Note, numbers are limited. To order a copy of The Year of Miracle and Grief please contact us. A vibrant and original theatrical experience The House of the Siberian Seasons is being staged in St Leonards in August. Timed to coincide with the 25th anniversary of the Moscow coup d'état that prompted the beginning of the end of the Soviet regime in 1991, the production is a magical, sensory interpretation of a book by a little-known Soviet writer. Sara Harris explores the context for Siberia landing on our doorstep. Early 1980s Britain was a time of huge contrasts and tensions. Unemployment soared beyond two million while, thanks to a new little policy called right to buy, council house tenants ventured into property ownership. In the city, money flowed while south of the river Brixton blazed as racial tensions erupted. The cold war cast its nuclear shadow across the country prompting women to leave their homes and set up camp around a certain Berkshire air force base. The Clash and The Specials reflected the bleak mood of the disaffected while working class girls and boys escaped from reality in a Bowie-inspired pseudo-romantic club world. While Britain was going through its own turbulence, on the other side of Europe a different, and arguably far more dangerous, set of tensions existed. In the Union of Soviet Socialist Republics, political activists and writers campaigning for freedom of expression were enduring a sixth decade of censorship and suppression. Those who spoke out against the political regime – writers, poets, journalists, artists – were imprisoned and often expelled. Writer Alexander Solzhenitsyn may have been the poster boy for Soviet dissonance in the West but there were other lesser-known USSR writers who were creating equally valuable work under similar restrictive and often life-threatening circumstances. One such writer was Leonid Borodin. Born in Irkutsk, Siberia in 1939, Leonid Ivanovich Borodin was a Russian Orthodox Christian. He joined the anti-Communist All-Russian Social-Christian Union for the Liberation of the People in the 1960s and in 1967 was arrested and imprisoned in Camp 17, one of hundreds of forced labour camps scattered across the USSR. These camps were operated by the Gulag – the acronym for a government agency the Main Administration of Corrective Labour Camps. Instigated in 1919, the number of Gulag camps surged during the Stalinist era fuelled by a strategy of agricultural collectivisation. The people who were sent to the camps, however, were the victims of Stalin's purges - resistant peasants, out of favour communist party members, suspected saboteurs and traitors and dissident intellectuals - along with ordinary criminals and during World War II, German and other prisoners of war. It is estimated that at their height, the camps housed around five million people. Life in a Gulag camp was exceptionally harsh. For up to 14 hours a day, prisoners were forced to undertake exhausting work in often extreme and inhospitable conditions – felling trees with handsaws and axes, digging at the frozen ground with primitive pick-axes to build roads and canals or mining copper or gold, also by hand. Exhausted and barely fed, the prisoners suffered illness and disease and many died. Inevitably, the numbers are sketchy but through to 1956 it is estimated that anything between 15 and 30 million died in the camps. Following Stalin's death, camp numbers dwindled and many were dismantled. But still they continued, through the 1960s, 70s and early 1980s, to be used to isolate and punish those, like Borodin, who simply wanted their voice to be heard. During Borodin's imprisonment in Camp 17 he penned a story. The story he wrote was discovered by the Gulag authorities and was duly confiscated and destroyed. Following his release from the camp in 1973 Borodin moved into a mountain hut in the heart of Siberia. There he lived a simple solitary life, absorbing himself in the surrounding landscape and changing seasons. And during his time in the hut Borodin wrote, once more, the story that had previously been destroyed. The story Borodin re-created was an ode to his Siberian birthplace and an allegory of his time in the Gulag camps. Siberia may conjure up notions of wilderness, isolation, the biting cold, a lonely and harsh existence and for their millions who suffered within the Gulag camps this was a very real experience. However, in Borodin's story, Siberia is revealed as a very different world. An astonishing world of beauty, mystery, myth and legend. A world of spring meadows and summer light, autumn warmth and winter magic. A place where fragrant wild rosemary and cedars cling to the mountains erupting from glacial Lake Baikal, the oldest lake in the world. Borodin's tale follows a boy as he explores and discovers this world, making friends and discoveries along the way. It is a coming of age story, blurring adventure with fairy-tale, myth with reality. Swallows and Amazons in a monumental and magical landscape setting. The writing is lyrical, poetical and mesmerising. Borodin had his story. But, in the pre-internet age and under a paralysing regime, the question remained, how could his story reach an audience? Across Europe, a loose network of organisations and alliances opposed to the Soviet region had developed. Spear-headed by émigré intellectuals who had either escaped from or been exiled from their homeland, their cause attracted political activists – from liberal Christians and artists fighting for religious and artistic freedoms to anti-communists attempting to topple the Soviet state from without. The motives of the members of this loose collective may have varied hugely but the mix of Christians, atheists, left, right, Soviets and Westerners combined to create an organisation whose aim was to ensure the words of Borodin, Solzhenitsyn and their contemporaries were not left languishing, hidden in boxes and drawers behind the Iron Curtain. While the borders of the Soviet Union at the time were heavily marshalled, certain Westerners were allowed to travel to the region. And it was under the guise of student excursions and business trips that members of the underground support network entered Russia. Once in the country, they secretly made contact with dissident groups. They handed over uncensored mail and anti-Communist literature and were passed stories, articles and poems written by the dissidents. Once in the clutches of the courier, the works were smuggled out of the country. The operations were dangerous and those who undertook them did so at great personal risk. It was through such a smuggling operation that Leonid Borodin's ode to Siberia made its way to Frankfurt. Here the printers Possev–Verlag published it in 1981 as God Chuda I Pechali. Copies of the book were distributed through the network and, crucially, smuggled once more by the brave and ingenious couriers, back into the USSR for onward distribution. Borodin's story had finally reached an audience. Back in Britain, in a seemingly ordinary house on a seemingly ordinary South London street a family went about their seemingly ordinary day to day lives. But behind closed doors, their lives were anything but ordinary. Russian émigrés Boris and Kira Miller were members of the network of groups and alliances who supported writers such as Borodin. Boris worked full-time for the Counter-revolutionary National Alliance of Russian Solidarists and the family helped orchestrate book smuggling in and out of Russia. They recruited couriers and their house became a distribution point for the smuggled works, its rooms filled floor to ceiling with towers of censored Russian books, including Borodin's Siberian story. Borodin had first written his ode to Siberia during his first incarceration in the Camp 17 labour camp. In 1984, while Borodin was a year into his second prison term, this time in ITK6 camp, that same story was translated into English by Jennifer Bradshaw and published as The Year of Miracle and Grief by London-based independent Quartet Books. It was the transformational period in the Soviet Union of the late 1980s known as 'perestroika' or reformation and an accompanying amnesty introduced for political prisoners by Soviet leader Mikhail Gorbachev that resulted in Borodin's early release from the Gulag camp in 1987. Gorbachev's perestroika had been prompted by economic challenges and the recognition that a new forward-thinking economic and political system was needed. The parallel rise of popular fronts such as Poland's Solidarity earlier in the decade and nationalist movements across states from Latvia to Armenia contributed to the timing of this mammoth political shift. Gorbachev survived an attempted coup d'état between 19th and 21st August 1991 which instigated the rapid dissolution of the Union of Soviet Socialist Republics. On the 24th August Moldova was the first state to gain independence and over the next four months others followed. After his early release in 1987 Borodin and his wife were given permission to travel to the West. They headed to London and once there made their way to the home of a seemingly ordinary family in a seemingly ordinary house on a seemingly ordinary South London street. On the 26th December 1991 the Union of Soviet Socialist Republics officially ceased to exist and freedoms to protest, to criticise, to worship and, crucially, to write were fully restored. Twenty-five years after the dissolution of the USSR, St Leonards-based arts collective Explore the Arch are celebrating the cultural liberation of the former Soviet block countries through a magical theatrical interpretation of Leonid Borodin's Siberian ode The Year of Miracle and Grief. The House of the Siberian Seasons is being staged at Archer Lodge, a beautiful Victorian villa on a residential road. Audiences will be invited into a unique, relaxed and welcoming domestic setting - very different to the environment of a conventional theatre or gallery. Entering through a reimagining of Borodin's Siberian mountain hut the audience will then step inside the house - and straight into the pages of the story Borodin penned in that hut. Reflecting the steep mountainsides rising from Lake Baikal, actors will nimbly scale the interior walls of the house. The boy of the story and the friends he made, will be brought to life by puppets fashioned from ribbons of text. The rooms, corridors, nooks and crannies of the house will be transformed with giant floor to ceiling pages. And original soundscapes – composed and performed by Vladimir Miller in what will be a hugely personal project given his family's direct connection with Borodin – will reflect the landscape, drama, lyricism and rhythm of the book. In such an intimate space, the obvious terrifying question arises. Will audiences be called to 'participate' in the production? ExploreTheArch's April production of The House of St George – an embracing and diverse reclamation of English culture – is another example of this willingness of the collective to tackle often uncomfortable and fluid themes. Just three months after the production, in a post-Brexit world, their artistic and literary perspective on Englishness takes on a different meaning and poignancy. The House of the Siberian Seasons is part of a wider ExploreTheArch Hidden Books season which will continue to celebrate censured, often little-known or forgotten 20th century writers and their work. This includes a commission for an original installation and performance piece based on the absurdist short stories of Daniil Kharms which will be staged at a cultural festival in Italy in September. Gail says, 'We are extremely excited about the forthcoming season and can't wait for the first production. What's great is that The House of the Siberian Seasons will work on all sorts of levels. So whether you're interested in Russian culture, literature or social history or looking for an imaginative and entertaining way to amuse the kids this summer, it will be an exciting and fascinating experience for all'. The House of the Siberian Seasons takes place on 19, 20, 21, 22, 23 Aug at 14.30 and 19.30 at Archer Lodge, Charles Road, St Leonards-on-Sea TN38 0QX. Tickets are £10 per person and children go free. To book tickets and for more information visit explorethearch.com/houseofthesiberianseasons. Note, numbers are limited. To order a copy of The Year of Miracle and Grief please contact us.